1. Excellent team have full experience in packaging . 2. Reasonable price and reliable quality . 3. We are professional in international business . 4. We accept Oem and Odm . 5. We accept small order . 6. We accept order on line . 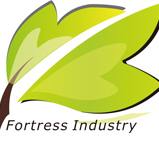 Shenzhen Fortress Industry Co.,LTD ,founded in 2006,is one of the leading supplier of Packaging box .Our main products are paper cosmetic packaging,Paper Food Packaging,Wine Paper Packaging,Watch Paper Packaging and Jewelry Packaging ect. We have owned a factory with about 6800 square meters, and the most advantage we have is that we have 8 printing machine, automatic laminating machine, automatic mounted machine, UV coating machine, automatic foil stamping machine, roll-paper cutting machine, and automatic deep embossing machine, automatic box-gluing machine ect.We provide one-stop services from design and printing to handicraft processing.